Is running getting a bit dull? Why not try Orienteering? Orienteering combines running with navigation. You will need speed and the cunning to plan the quickest route. But what else is involved? Experience an Adventure, Try Orienteering! Orienteering can take place anywhere from remote forest and countryside to urban parks and school playgrounds. The most challenging orienteering takes place in areas, which has demanding terrain and few paths. To start orienteering all you need is a sense of adventure and a pair of trainers. It’s a great sport for runners, joggers and walkers who want to improve their navigation skills or for anyone who loves the outdoors. A good way to get started would be to try a local permanent orienteering course. These courses can be located in a forest, local town or country park. To find out where your nearest course is, go to the ‘Permanent Courses’ section of the British Orienteering website below. To experience the full excitement of orienteering you will need to attend an orienteering event, which usually take place on a Sunday morning. Here you will find lots of experienced orienteers who will be able to help you get started. There are many types of orienteering events, including Local, District, Regional, National and Championship events. 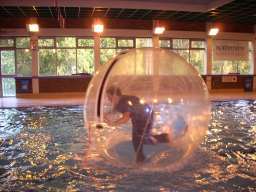 There are also Night Events, Relays and Score Events. Young children can also take part in string courses where they have their own map and follow a line of string which takes them around a set of controls marked by fun characters. Clubs also have club training, summer evening events, Saturday morning events or come-and-try-it events. These can be a little less frequent than district events depending on how active the club is. All different types of local and district events are ideal for newcomers. What are the Different Orienteering Colour Coded Courses? Once you have found a suitable event on the fixtures list of the British Orienteering website you need to locate the venue. The grid reference for the event car park will be shown as a hyperlink in the fixtures list. Clicking the link will show you the exact location of the car park through www.streetmap.co.uk. Most events featured in the fixtures list will also provide a link to the organising club’s website where further information can be found. The directions to an event will often explain how to get to a certain point on a major road, and then tell you to follow the orienteering signs. These are arrows, usually hung from posts or fences, which point the way to the car park. They may say ‘Orienteering’, or ‘O’, or just be marked with the orienteering symbol, which is a square divided into red and white triangles. The car park will often turn out to be a farmer’s field, and may well be off the main road and down narrow lanes. Keep following the arrows until you see marshals who will show you where to park. Sunday morning district events normally have start times between 10.30am and 12.30pm, with courses closing at 3.30pm, and event entry from 10am until 12pm. There will normally be an enquiries point so if you have any questions, however trivial they may seem, just ask. Comfortable clothes for walking or running in, that you don’t mind getting dirty. Competition rules will normally require full leg cover. You can also buy specially designed orienteering clothes, which offer full body covering but remain lightweight and breathable. Trainers or walking shoes, preferably waterproof and with a good grip. There are specially designed orienteering shoes which are studded lightweight running shoes. Prices of these range from £40 – £70. A lightweight waterproof, if the weather forecast is poor. A compass is always useful but not strictly necessary if you are orienteering on a White, Yellow or Orange course. You can often buy a compass at the event, if you want one. Starter compasses cost less than £10. A safety whistle is sometimes compulsory, especially in difficult terrain, but you can usually buy that too, if you need to. A red pen to mark your course on your map and a transparent A4 plastic envelope to put your map in if the maps are not pre-printed. At larger events courses will have already been printed onto the maps so you will not require a red pen for these events. Orienteering – An adventure sport for all! 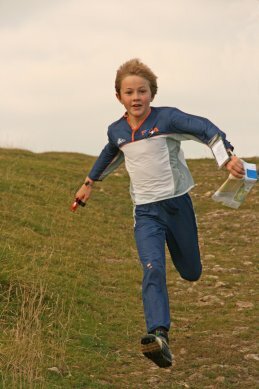 All the information you need to start Orienteering is available from the British Orienteering Website.